A cheese shop in Muswell Hill that has been touting the pongy delights since 1982. 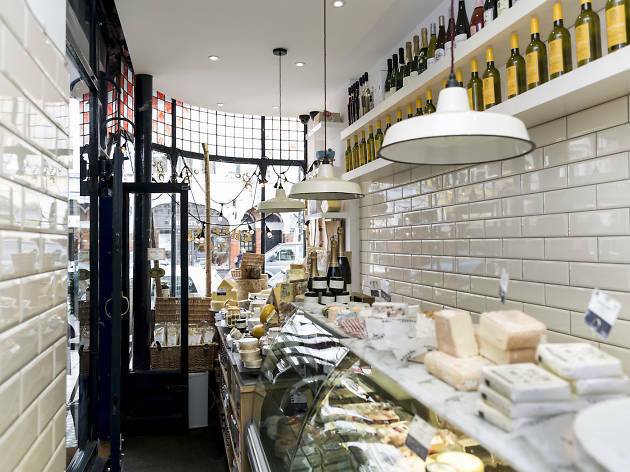 Despite it’s petite size, this shop manages to stock more than 200 different cheeses. 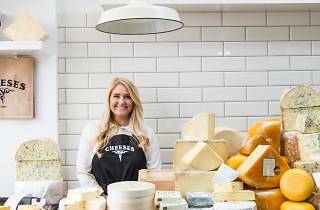 Much of the enterprise depends on the passion and expertise of owner Morgan McGlynn, who is crazy about cheese-ology and oversees every aspect of the business (with help from her family). Everything is handpicked and bought straight from the dairy. They also offer wine, crackers, cheese tools, gifts and cheese wedding cakes. It’s the stuff (cheese) dreams are made of. 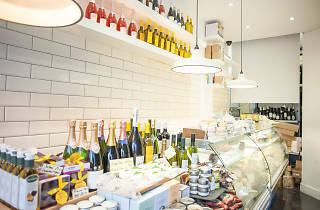 Cheeses is a beautiful yet tiny shop tucked away amongst the chic boutiques of Muswell Hill. We are a 39-year-old family run business that believes in high quality, handmade produce. We are a maturer, retailer, wholesaler and exporter of farmhouse and artisan cheeses. With 230 different cheeses. 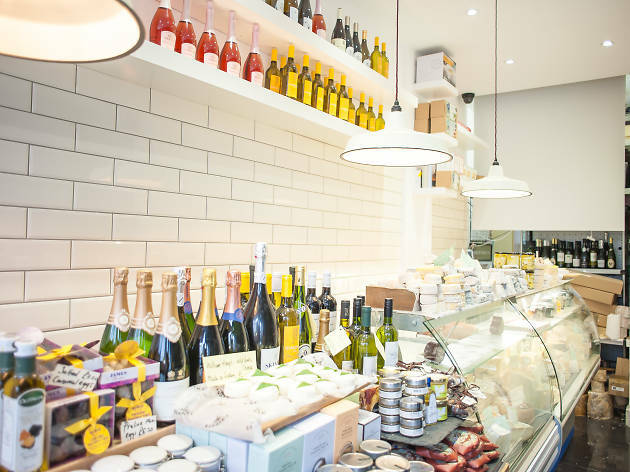 The Muswell Hill Cheese shop isn't just a cheese shop, its fantastic cheese shop. The shop is so narrow but just perfect. It is full of the most amazing tasting cheeses, as soon as I entered the lovely lady behind the counter greeted me with a taster, of delicious manchego! She then continued to talk me though the perfect selection of cheeses for my guests. Morgan & her staff really know their stuff - amazing cheese well kept. The best tiniest cheese shop in London with the friendliest staff! Love a heart shaped Godminster. Full of the most delicious cheeses! At christmas they do a creamy brie with fresh truffles in the middle, it isn't cheap but my god! Its the best cheese I've ever eaten! Other favourites include the Manchego covered in rosemary and the Tunworth english camembert. Be careful going into to this shop hungry! It is well worth a trip to Muswell Hill. The lady who owns it is lovely, very knowledgable and brilliant produce on offer. I bought some Baron Bigod Brie for my husband's birthday. He had been recommended it by a French colleague at work, researched the name and found that the cheese shop is muswell hill were a supplier. Well, it was the most delicious brie imaginable. Superbly creamy and with no bitter aftertaste that you can get with some brie's. The last time I ate any brie that tasted so good was in Corsica years ago and I will be purchasing more very soon. The staff were friendly and efficient. Would thoroughly recommend the Muswell Hill cheese shop. Cheese is for life, not just for Christmas... for such a small shop Cheeses has fantastic choice to rival Paxton & Whitfield, La Fromagerie and Neil's Yard. As soon as I walked in, I knew I'd found a cheesy heaven. The whole place has a pleasant earthy scent. They have a great cheese selection with cheeses from all over, knowledgeable employees, and a great sample policy :) just delicious. Huge selection of cheeses, lots of British and local cheeses that they had on taster. They also have a variety of other things you'd expect: jams and preserves, British stuff, tons of chocolate and candies, crackers (including a couple of gluten free options, hooray!) and crusty bread, great wines, olive oil, and olives. 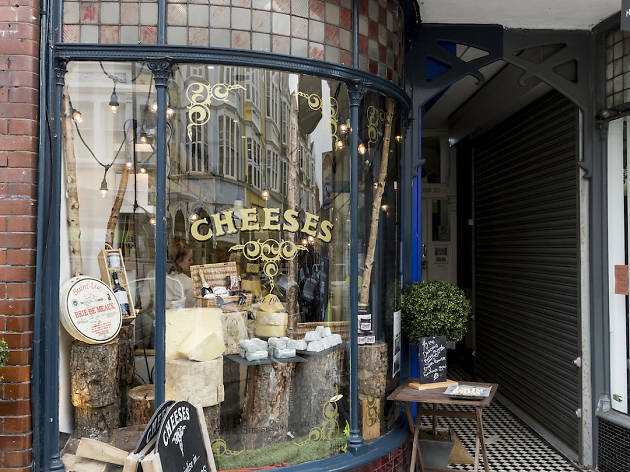 Showing some local love to Cheeses of Muswell Hill, One of the best shops in Muswell Hill, excellent cheese all squeezed into this delightful shop! Fantastic little cheese shop. You can buy cheeses individually, in a pre-set box or you can ask them to make up a box for you depending on your likes/dislikes. The cheese isn't the cheapest, but it is excellent quality and worth paying a bit more for. The staff I have spoken with have been very helpful and knowledgable. They also sell a range of condiments and crackers to go with the cheese and a limited drinks selection. Spotted in timeout last year so I thought I’d pay them a visit! Unreal Cheese shop, At Christmas we queued for our cheese and it was well worth it! Huge range, lovely staff that are very knowledgeable. Highly recommend paying this cheese shop a visit! Fantastic little cheese shop. The cheese isn't the cheapest, but it is excellent quality and worth paying a bit more for. The staff I have spoken with have been very helpful and knowledgable. They also sell a range of condiments and crackers to go with the cheese and a small quality drinks selection. Fab little family run cheese shop. I get all my cheese from here because the standard is just above and beyond anywhere else. You can really tell Morgan the owner really cares. When you need something more than just Cheddar from the supermarket, this is THE place to go. The products are always great quality and the staff is so knowledgeable. And they do a terrific dinner party platter. While having my hair cut in Muswell hill, I noticed his next-door neighbour was this lovely cheese shop. I popped in & ended up buying 3 delicious cheeses. I am looking forward to my next haircut and an excuse to pay them another visit. After seeing this shop in the love london awards, I made a trip up to the shop on Saturday morning. I was greated with 4 cheese samples outside to try, bread, sweet treats. When I entered this amazing treasure cove of cheese I wasn’t disappointed. The lady that served me was happy to let my try anything I liked and she talked me through her favourites Cheeses. They also had a taster of truffle fondue on the go, which was out of this world! I have never tasted anything like it! I was so pleased I may the trip to Muswell Hill to visit this wonderful cheese shop! We love visiting this place!! It's a 30 mins drive from our house through some delightful parts of london, but it's well worth it. Great service is pretty rare these days, but it's a delight to come across an operation with people like Morgan there....so passionate, knowledgeable, helpful and extremely obliging with letting us sample any and all the cheeses we wanted!! Fantastic!! If you're serious or just curious about your cheese, this place is simply unmissable! I highly recommend paying this wonderful cheese shop a visit, you will not regret it! Amazing customer service! They let us try a couple different cheeses before we bought some. Really made my dad's day who is really into all cheeses. It is now on my must visit list when I come to london! Fantastic cheese shop. It has an incredible selection and the staff are very helpful when you're not sure how much or what to get. Strongly recommend this for any cheese lover. I bought lots of Raclette for a party I was going to, I went down so well! Super cheese shop, i would love to shop here every day. Spectacular small shop, independently owned by a family. The sisters know a lot about cheese, brilliant selection. Isle of Avalon is one of our favourites from the shop! Excellent cheese, if they don't have it in the shop......it's not worth having! 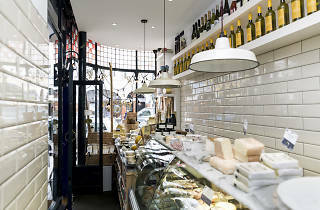 One of the best shops in Muswell Hill, great cheeses and lots of them! They also do lots of interesting products. Also a treat to finish off a meal with some cheeses from here! Love cheese? You'll love Cheeses. Recently made a trip to borough market, fantastic cheese selection there but how brilliant to have those cheeses and more just up the road from where i live! Great cheese, wine and products! Well worth a trip up the hill on the weekend! Best little shop in muswell. Best Cheese Shop in the World. REALLY! Lines are very long around holidays, but you can find virtually any European cheese here. Very knowledgeable and friendly staff always have recommendations that are worth listening to in order to find something a bit different. This cheese shop is my absolute favourite! And trust me I've been to a few! Always have a taster on offer! Fantastic range of interesting cheese. The team is very knowledgeable and provide first class customer service. We were given a 3 month membership to the Cheese Club and got to try some really interesting cheese throughout the year. I LOVE THIS SHOP!!!! This is why London is so great, finding a tiny little 40 year old cheese shop hidden in a corner of north london! These cheese shop is full of everything a cheese lover needs!!! Like a cheese shop should be: knowledgeable staff, the ability to taste the cheeses. Good selection of biscuits, too. Fantastic place for cheese lovers. 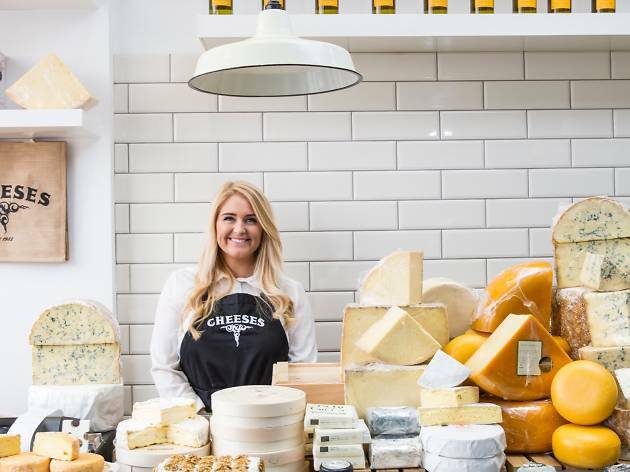 The staff are extremely friendly and will have you trying lots of various cheeses before you buy. They're also very well informed and can tell you the background and where it came from in great detail. Also make some of the cheeses also! 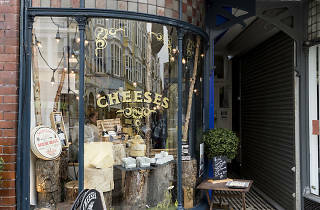 Great cheeses, fantastic staff and beautiful old shop front! Best cheese shop in london! So happy to have a cheese shop as a neighbour! Excellent Cheesemongers. Queues for the cheeseshop can be about 30/40 mins around Christmas and Easter holidays. But it is so worth the wait I promise you! Best way I can describe this shop Is like.......Charlie and the chocolate factory.........but with amazing cheese! CHEESE HEAVEN!!!!!!!!! Try the smoked god minster if you pop in! Love this shop! Great cheese, staff and location! Toffs chips and the cheese shop are the best reason to go to muswell hill! If you are in London, go here. If you love cheese, go to London and go here. Just get here. The two girls working here were super nice, all of the cheese was stunningly good, and the Truffle pecorino we devoured were amazing. Love this place! It is a small door to France, better than taking the Eurostar! Food is an experience and their selection of cheese and wine is beyond words. Cheese shop of dreams! if you haven't had Brie with Truffles from this shop you haven't lived!!! Smallest cheese shop in london.....but the best! full of the most delicious cheeses from all over the country!